Defensive performance – Like I wrote in the Expectation piece late last week, I expected for the defense to have a better effort. The KC offense isn’t one that will blow the barn doors off so I thought the Defense could hang with them and they did. They caused a few turnovers and kept Jamal Charles in check. The run defense was particularly stout. Perry Fewell’s plan again was solid enough to get a win. They had only given up 10 points by the 4th quarter. Some more pressure would have been nice as clearly the weak link in this D is the play of the defensive ends (more on them later). 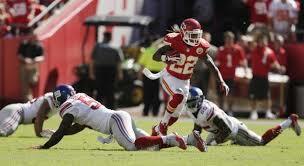 Prince Amukamara – He was in lockdown mode yesterday. He made a great interception and also defended another ball that Paysinger almost came up with on a deflection. He has become the best defensive player we got. Spencer Paysinger – Speaking of Paysinger, he probably played his best game as a pro. His pursuit and awareness were really great yesterday along with some fire he showed. Victor Cruz – The only player on offense that has week in and week out played up to his abilities. Luckily, he isnt going anywhere. The kids on the O Line – I’m not going to go crazy as they weren’t great but Pugh, Cordle & Brewer got thrown into the fire and performed admirably. KC is one of the loudest places to play and they held up OK for having very little game experience. Pugh basically stoned the league leader in sacks and that should be noted. All 3 Defensive Ends – JPP, Tuck, Kiwi again were all ineffective and couldn’t get to the QB. I’m pretty sure that offensive tackles have seen on tape that all you need to do is get a good shove on JPP high and he can’t overcome that because of the back. Tuck just tries to get in the area of the QB so he can say he was close to getting the QB but has no intention of working hard to actually sack him. Kiwi does one thing good and then 3 things really bad. Hakeem Nicks – You just can’t go out and say I cant throw the ball to myself and then perform like that. He had 9 targets and caught only 3. He had his hands on at least 3 more and didn’t come up with them. He also tried to one hand passes for no reason. He’s looking like a guy who has no desire to be here after this season and I’m not sure if the Giants want him back at this point. Special Teams – All around just a dreadful performance by the special teams unit. Josh Brown has been bad, Steve Weatherford has been even worse. Damontre Moore partially got to one which was nice but then later in the game lined up on the wrong side of the line which extended a drive that was stopped. Special teams need to be a weapon but they are just getting killed right now. Will Beatty – This is getting real bad real fast. Kevin Gilbride – Watching this offense is just horrible. They cannot sustain anything right now. No first downs, have third and longs always and they few times they have 3rd and short they cant convert it. Another thing I wrote about before the game was they needed to pick up the tempo and to make a concerted effort to move the pocket to buy some extra time. It seemed they were trying to do both in the beginning of the game and it seemed to be helping. Their first half offensive numbers weren’t god awful. However, that all stopped and he went back to just shot after shot down the field with low percentage plays. Also, ENOUGH OF THE SHOTGUN DRAW ALREADY PLEASE!!!!! Eli Manning – Your a 2 time winner of the Super Bowl MVP. You need to play better hands down. He has the look of having absolutely no confidence in anyone around him including himself. 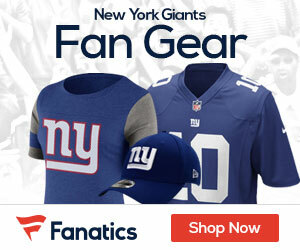 Brandon Jacobs & Darrell Scott – I am shocked that these are the 2 best options available right now. At some point you just have to give David Wilson the ball on most carries and let him learn how to pass protect because he is also going to give you the most chance to move the ball with big plays. The biggest joke really of all of this is how bad the NFC East is. Again basically nothing happened that really affected the Giants playoff chances. With Dallas and Philly losing they haven’t separated themselves. Washington did win but it was against an AFC opponent and the Giants still play them twice so technically that win doesn’t matter much. It’s absolutely hysterical to think that if the Giants have had won just one game they would only be 1 game out of a playoff spot. They are only 2 games out of first. All this really means is I’m sure the Giants will some how win just enough to tease us with a long drawn out process to keep up just with enough hope to watch before crushing our souls one last time this year. It’s going to be a long season and we’re probably seeing the downside of having 2 incredible super bowl runs so close to each other. We were probably due for a down year and its playing itself out before our very eyes. The whole mocking of the Salsa by the opposing team is played out and stupid now. Dexter McCluster, who is a punk, did it and it’s really infuriating. As bad as the Giants are, I thank my lucky stars that I’m not a Chiefs fan. I could never root for a team with Alex Smith as my quarterback. Watching them on offense is like watching grass grow. The reason he hadn’t thrown an interception is because he never puts the ball at risk. It goes like this, 3 yard pass, screen pass, 2 yard pass, 5 yard pass. Absolutely brutal and boring to watch.